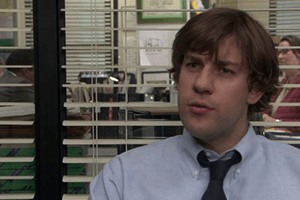 Introduces the boss and staff of the Dunder-Mifflin paper company in Scranton. 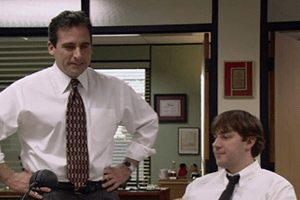 Michael’s off color remark puts a sensitivity trainer in the office for a presentation. 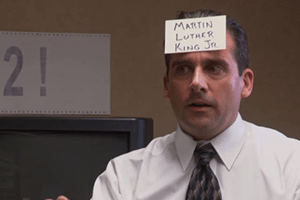 Michael leaves Dwight in charge of picking the new healthcare plan for the staff. 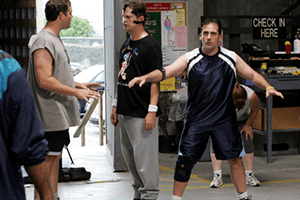 Michael and his staff challenge the warehouse workers to a basketball game. 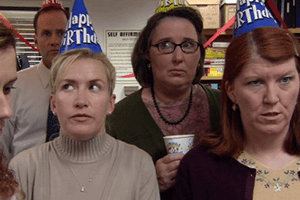 Michael start’s vying for the attention of an attractive saleswoman.